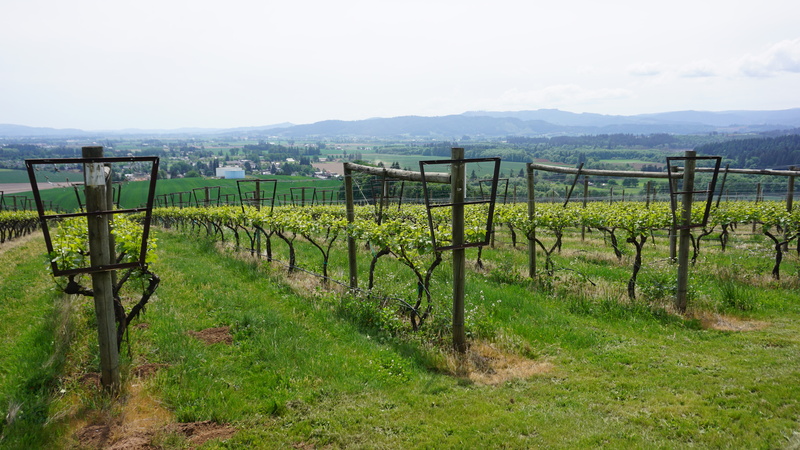 At the top of a gravel drive in Banks, Oregon sits 35 acres of prime grape-growing land, with 17 currently planted in pinot noir, pinot gris, a small block of riesling and another of chardonnay. Beyond the expansive family home is a sea of widely-spaced rows that grace the south-facing slope. 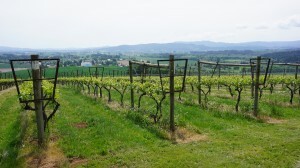 The vines are trellised in a manner that makes them truly special. So begins the illustration of Woven Wineworks and Covey Ridge Farm and Vineyard. Perched atop one corner of the vineyard is a covered patio that overlooks the territorial view. 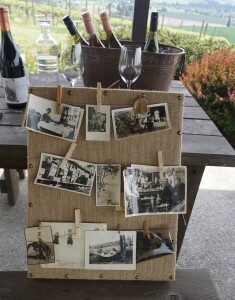 A large picnic table is set with eight wines, each wine with its own number. At the edge of the table are several lidded glass jars filled with peppercorns, fresh rose petals, dried oranges and the like. Another table is adorned with fresh fruits, vegetables, cheeses, artisan breads, truffle oil, dried fruits and dark chocolates. While this full sensory tasting is currently reserved for private affairs, it is an experience that Elaina Spring, co-owner and operations manager, would like to share with a larger audience as part of a long-range vision that involves thoughtfully-prepared farm-to-dinner table events. 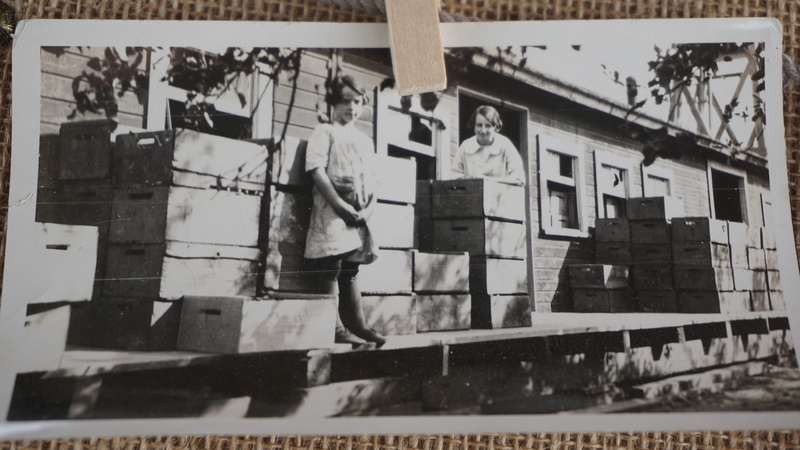 For now, she has taken twelve worn but meticulously-labeled family photos—dating as far back as the 1930’s—and woven them into a most engaging story. As she pours their wines, Spring brings each one to life with a contagious passion. There’s her great grandma sitting proudly at her first kitchen table in her first house (which was actually a canvas tent), writing a letter to relatives on the east coast. 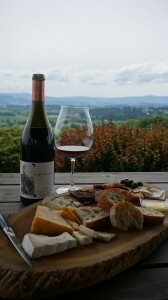 It graces their 2012 Oregon Pinot Noir (Number One). Then there’s great uncle Terry learning to play fiddle from an area farmer with Elaina’s grandmother (Terry’s mother) standing on the front porch behind him in the photo. It adorns their 2013 Kinfolk Private Reserve (Number Two)—and the stories go on from there. 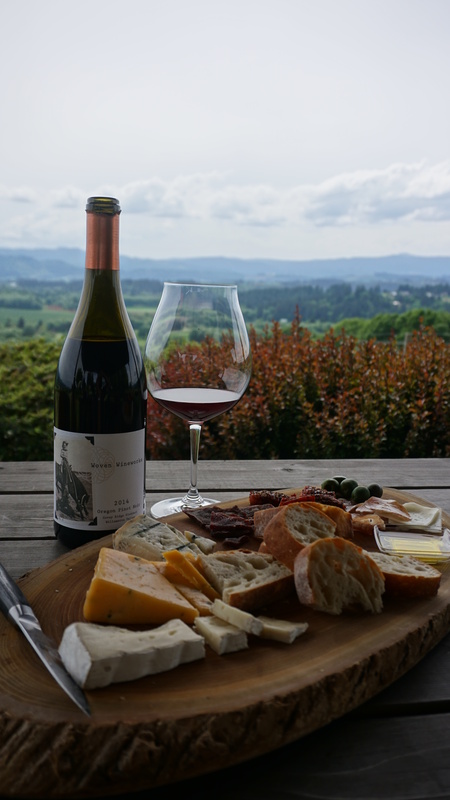 Inside the bottles are crisp, bright whites, delicate and earthy pinot noirs and a deeper, luscious red blend. Woven Wineworks currently sells the majority of their grapes to Rob Stuart, Apolloni Vineyards, Dobbes Family Estate and Michael Lundeen but chooses a small amount of first fruits and collaborates with these esteemed winemakers to produce about 100 cases each of their own offerings. No formal tasting room now, Spring markets through pop-up events such as May 18 at JoLa Café in John’s Landing—where they are featuring three Woven wines by the glass through the month of May; their relationship with nearby Quail Valley Golf Course; and will be pouring at Classic Wines Auction Corks & Forks event on June 9 at Castaway. Their Farmer’s Market Edition (Number Five), a white blend of riesling and gewürztraminer, is a quintessential summer wine screaming to be poured at farmers markets and that’s exactly what Spring intends to do throughout the coming season. This off-dry white is full of bright acidity and would pair beautifully with the freshest ingredients procured after a day shopping local stands and chatting with the growers for recipe ideas. Woven Wineworks is producing wines with an admirable vision—that people will taste their wines, fall in love with their wines and create their own family memories around bountiful tables that span generations, much as their family has.